Glaring examples of theft and corruption in the Restaurant and Fast Food industry makes a mockery of employers calling for the reduction of penalty rates for a section of the lowest paid workers in Australia . If ever there was a industry fraught with a raft of illegalities such as non payment of legal wages and conditions here it is. Scratching the surface of this industry you will find a sweat shop on every corner. Everyone wants to open a coffee shop because of the fantastic amount of money that can be earned, but the last thing thought about is how wages should be paid. Employers should calculate the wages and conditions that employees should be paid and, if they can’t afford legal wages, then walk away. Don’t open a business and then sook about the legal entitlements your employees are entitled to by law, otherwise you’re no less guilty than large corporations. The confected hysteria now being generated by governments and employer groups represented by the Australian Chamber of Commerce and Industry is just that. Confected Hysteria. Crocodile tears flow through this section of employers because there is overwhelming evidence that they don’t pay penalty rates in the first place, how do I know, let me give you a few examples. Crust Pizza were recently caught not paying penalty rates, they also forgot to pay award rates of pay as well as no pay while training, absolutely illegal, but they made up the slave wages with a free pizza at the end of the shift. 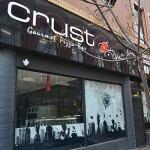 Crust pizza has over a hundred stores Australia wide so no excuse, they are a large corporation that employs lawyers and others involved with industrial relations but they chose to flout the law and got caught. La Porchetta paid over 111 young workers in pizza and lemonade . Ruby Chand who runs two of the chain’s franchises in Pakenham and Berwick was found to have underpaid 111 teenage workers more than $250,000 over four years. The Federal Court heard that Chand paid young cooks, kitchen hands and waiters below minimum wages and withheld annual leave entitlements. A number of these were employed under government training schemes enabling Chand to claim more than $45,000 in commonwealth funds. In her defence, Chand claimed these young employees were given half price pizzas and lemonade. Stale 1/2 pizzas and flat lemonade won’t pay the rent or put food on the table, if you’re an older worker it won’t pay your mortgage or children’s school fees . Chand was fined $335.000 and ordered to repay all entitlements. All it took to reveal this theft of wages was one parent to complain,well done!!! Della Rossa pizza manufacturers employed young Korean workers on 457 visa at $6 per hour for a 70 hour week ,no lunch breaks , Saturday and Sunday work at a extra $2 per hour, the bosses’ generosity was extraordinary. 7/11: We are all now aware of the wage theft of young Indian students wages and conditions at 7/11 stores who were not only robbed of legal rates but penalty rates for Saturday and Sunday . Let’s be honest here, every fast food outlet and the majority of coffee shops flout the law every day by not paying workers their legal entitlements, much less penalty rates. 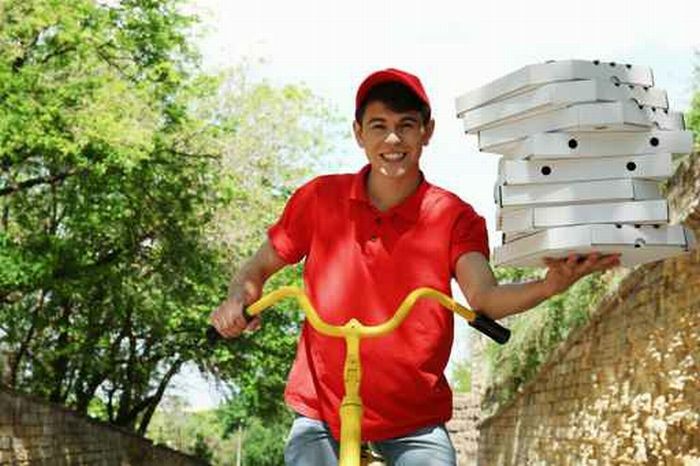 Dominoes pizzas pay their delivery men $8/10 per hour, such practices belong in the dark ages and do not reflect anywhere near current standards . This theft of wages is condoned by the ACCI and their spokesperson Kate Carnell. It’s about time you came clean, Kate, and admit the employers you represent are involved in criminal activity you may not know about because you are ignorant of the wages and conditions in the industry you represent, because you have no idea how the industry works. Kate Carnell, your ignorance of how the industry works is not a defence, but your continued advocation for the abolition of penalty rates is . What about a challenge to everyone reading this post, next time you buy a corned beef and mustard sandwich ask how much the worker is paid, next time you have a cup of coffee at your favourite coffee shop ask the waiter how much is the hourly rate, and if they tell you they get at at least $17.17 per hour Monday to Friday and $22.78 for a Saturday please let me know, cause that where I’m buying my coffee from now on. AMF Bowling Centres don’t pay penalty rates for nights weekends or public holidays, i worked for them 8 years ago for a period of 4 years as a cafe assistant a the start to acting cafe manager af the end,all on the samd pay rate, sometimes 6 days a week, over easter, new years day missing time i could have and should have been spending with my kids, but i needed the money and felt like if i took days off i would have been out of a job and replaced, what made me finally leave was i questioned one of their policies and the next shift i got a message from the centre manager via my cafe manager at the time that due to me questioning their policy i was no longer allowed to work nights and i was no longer allowed to be a supervisor which again didnt get me any extra pay for being the person whos head wason the block when and if things went wrong. I now refuse to spend any money at any AMF Centre in Australia as they treat their staff terribly! 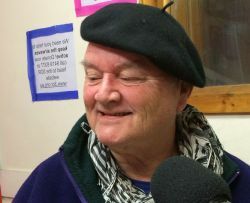 I worked for Two Sugars Cafe in Highton, Geelong for 3 years. During that time I, nor did any other staff, receive penalty rates. They paid cash without paying taxes and didn’t pay anyone’s superannuation. I worked 15+ hour shifts without recieving proper breaks and no penalty rated for working over time. The bosses are making a killing from exploiting people and the tax department and need to be named and shamed!